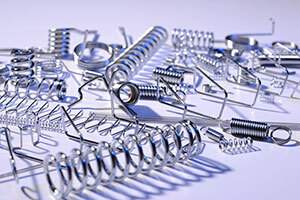 About Cook Spring Company, Inc..
Directory Cook Spring Company, Inc.
Cook Spring Company, Inc. is a reputable, innovative and versatile manufacturer of precision springs and wire products for the Medical Industry. The company was established in 1954 and has been a leader in the industry for decades, successfully positioned as not only a top supplier to Medical Device Manufacturers worldwide, but a partner. We consider ourselves an extension of your business so our facility and our expertise in design and manufacturing are made readily available to all customers. Over the years we have assisted in the design of thousands of projects, helping each device move efficiently from concept to production, making us a strategic source for development and full-scale manufacturing of compression springs, torsion springs, extension springs, wire forms, catheter coils, medical springs, magazine springs and many more. A 100% CUSTOM MANUFACTURER THAT IS DEPENDABLE, QUALITY ORIENTED AND LARGE ENOUGH TO HANDLE YOUR MOST DEMANDING REQUIREMENTS. The core values of Cook Spring have a strong presence throughout the company and truly set us apart from our competition. As a quality and service driven supplier we have a thorough understanding of the requirements the Medical Industry demands and we make sure we provide the first class level of service you deserve. We are dedicated to our customers so you will be impressed by the little things we do. Not only is our staff personable and courteous, you will find that they have the training, the experience and the resources to serve any need that may arise. All team members are guided by the same set of principles and it shows at every level. Communication is key so we call you back when we say we will. Trust is critical so we don’t make excuses or lie. If we are wrong, we admit it. If anything changes from what was originally planned, you will be told. We view our customers as partners in business so we are focused on building and maintaining strong, long-term relationships. We are proud of our reputation for excellence and we are confident we will meet and exceed all quality and service expectations. We look forward to helping make your product a success so if you have a requirement that Cook Spring can accommodate please don’t hesitate to contact us. With a customer base that is 95% MEDICAL, Cook Spring understands that quality plays a vital role in performing as a competent supplier to our customers. An extensive amount of time, training, and capital has been invested to establish our highly sophisticated, well-staffed department that is currently in operation. With decades of experience supplying the world’s top Medical Device Manufacturers, we are confident our quality assurance program has built in procedures that put it in a class of its own and we are continuously improving and setting the standards that make us a leader in our industry. 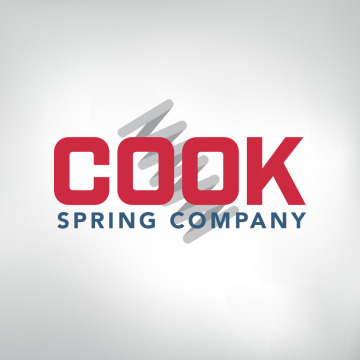 Cook Spring has been instrumental in the development of thousands of custom spring designs for Medical Devices worldwide. We encourage our help with prototype work and short-run projects so we can get your project to production as soon as possible. 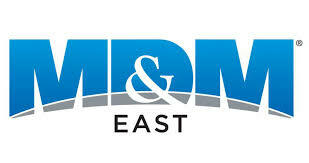 We are eager to provide design assistance and strongly encourage our involvement in the early stages of development. If the application requires a spring, Cook has the experience and expertise to help fine tune a design quickly and efficiently. This allows us to be a full service house and eliminates the need for a customer to buy prototypes or samples from one supplier and production from another. 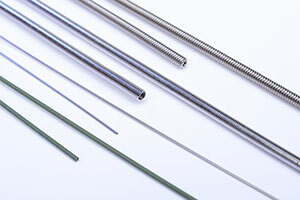 Cook Spring has developed proprietary equipment designed and built in-house specifically to meet and exceed the increasingly demanding requirements of Medical Device Manufacturers that use long medical coils often used in various catheter systems. Our new, cutting-edge technology gives us superior control over critical specifications allowing us to manufacture the most consistent, smooth and kink free coils available. The equipment is housed inside a brand new clean room giving our customers assurance that we are manufacturing in a clean, controlled environment. Medical coils are used in therapeutic catheters, ultrasound catheters, diagnostic catheters, robotic-assisted endoscopic surgery systems, biopsy forceps, endovascular catheters, neurovascular micro-catheters, cardiac catheter ablations systems and many more. For more information contact Cook Spring Company, Inc. CONTACT COOK SPRING COMPANY, INC.